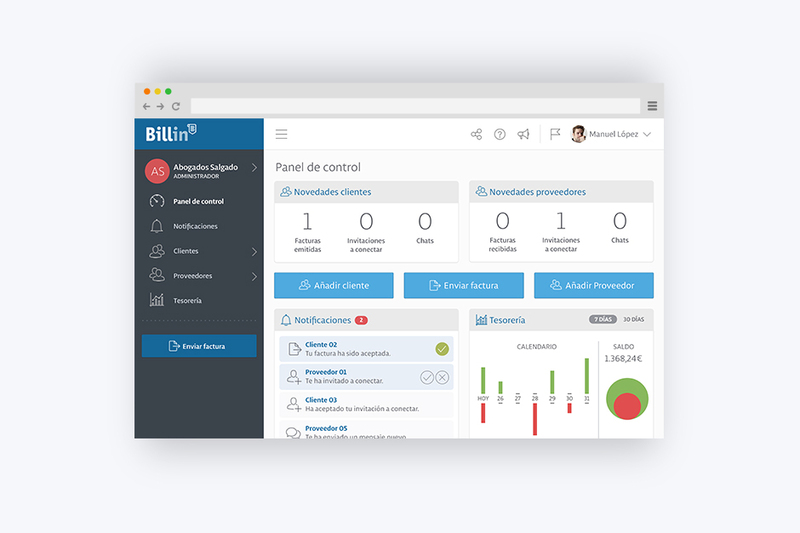 Billin: naming, branding and UI-UX design for a web application. 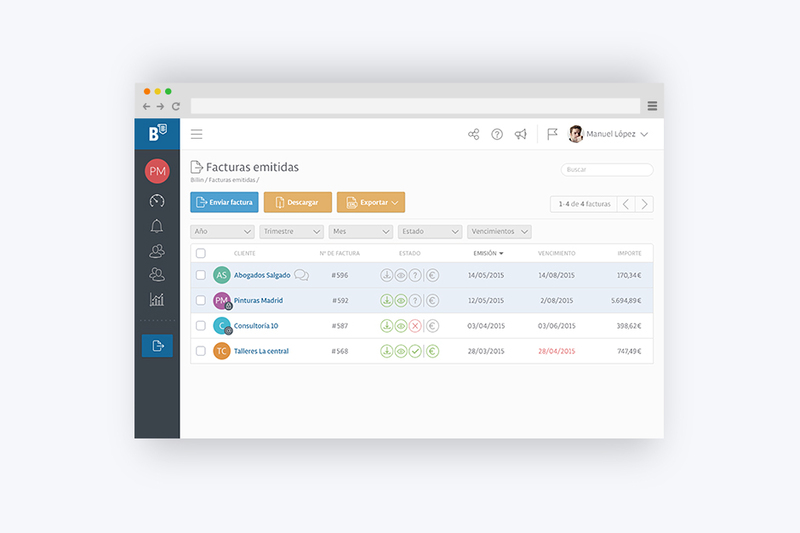 Complete corporate identity, workflow, flowchart and design interface for an online billing management application. 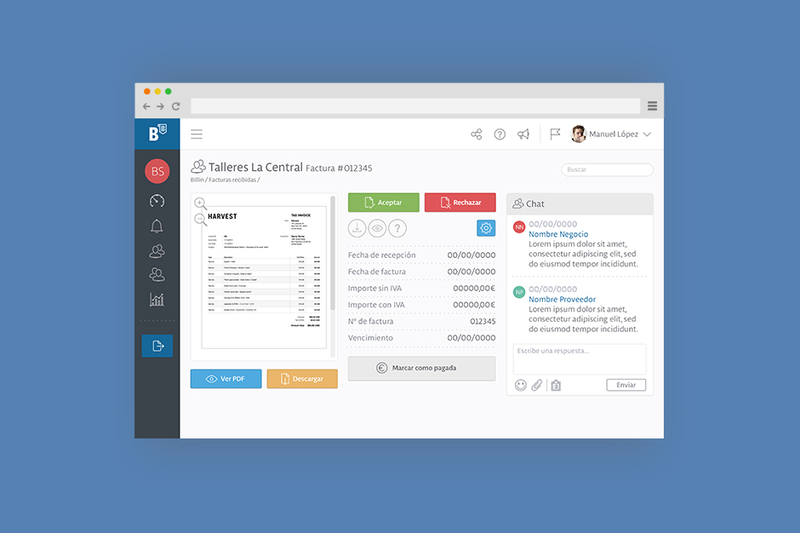 MyExpenses, one of the strongest present-day Spanish startups, decided to create the web application Billin, in order to energize the complicated and tedious task faced by most companies of managing, sending and receiving the countless invoices exchanged between companies and professionals. 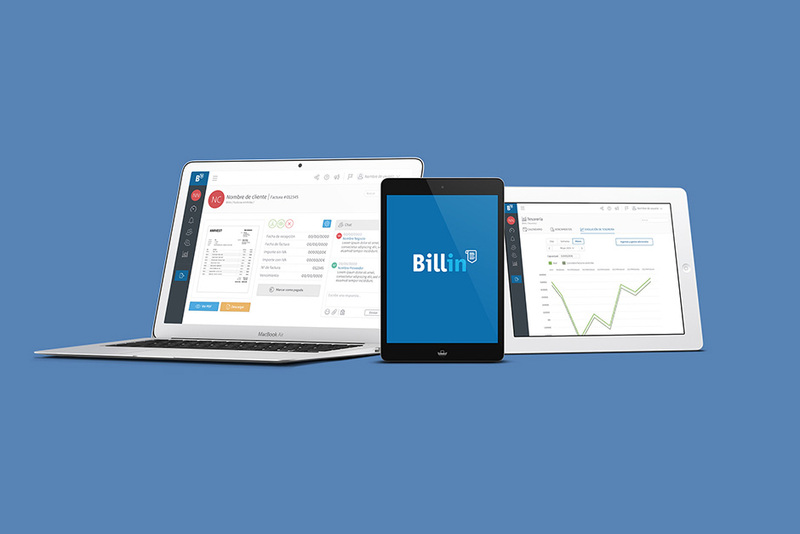 Billin offers tools that minimize errors involved in managing and storing invoices. 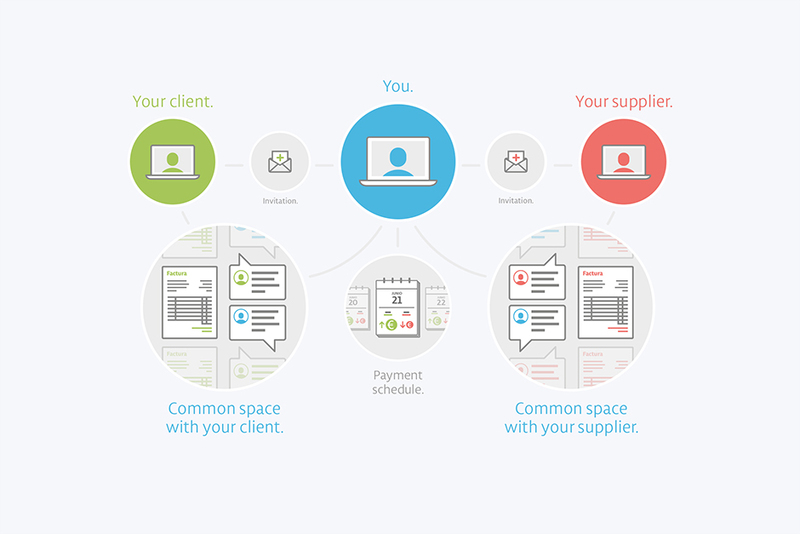 It centralizes the sending and receiving of all invoices and provides direct communication with clients and suppliers, among many other services. 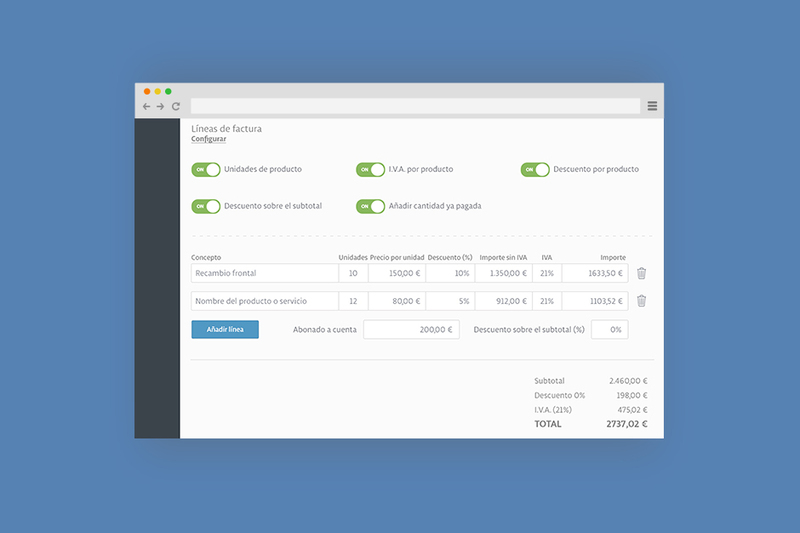 The project arrived at the studio with the name of MyExpenses, which we thought could be fine-tuned somewhat, so we encouraged the company to find an alternative that came closer to describing the platform’s actual role. 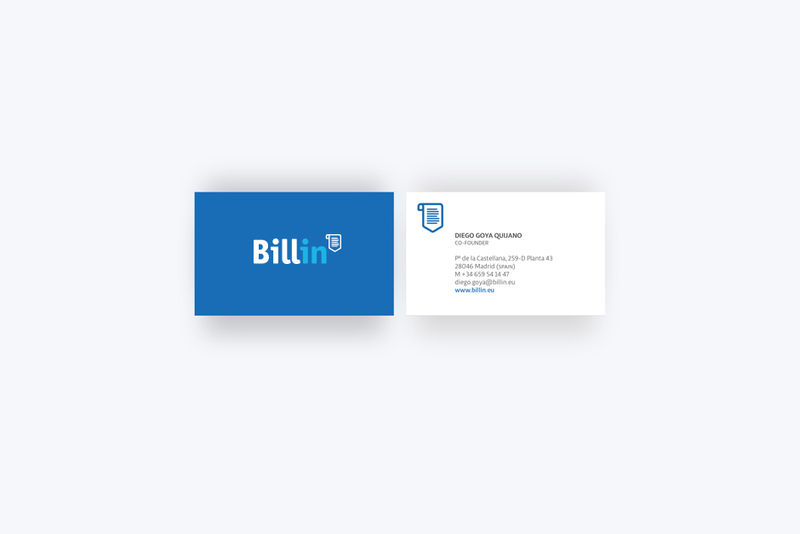 We conducted a naming exercise where ‘Billin’ emerged as an option. 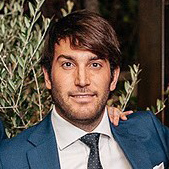 Both the client and our team found that this option faithfully communicated the spirit in which the app was established. We began working graphically on this philosophy, thus bringing about its logo, an ad-hoc font and an icon that would represent the main concepts that it had to reflect: security + download + invoicing/documenting, adding the B in Billin to all of this. Having achieved its corporate identity (versions for the logos, corporate stationery, etc. ), we immersed ourselves in the design of the web application. 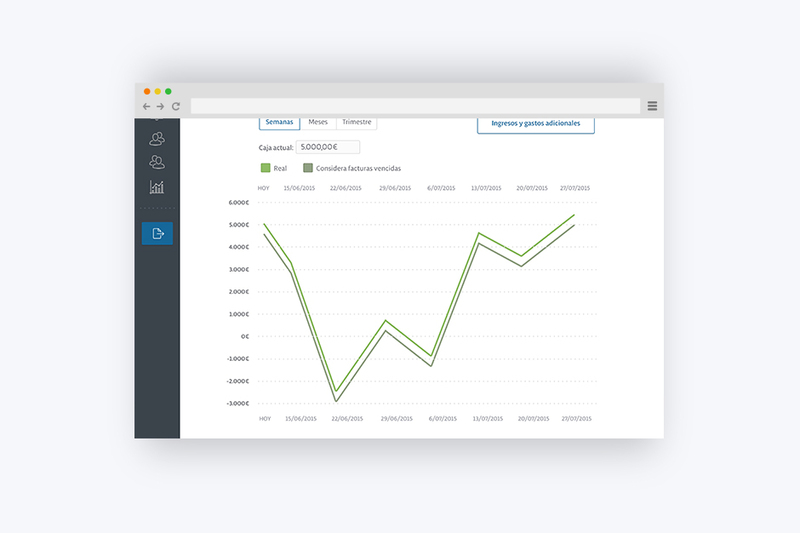 What was of greatest importance to the client was that the tool be simple and easy to use, in addition to being attractive so that it would entice users, thus leading to a rapid expansion. 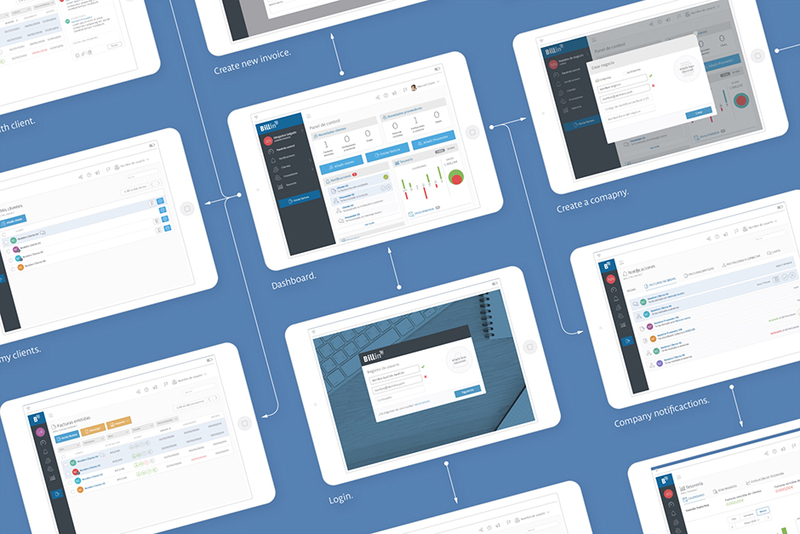 We started by working on an essential aspect: the workflow for the entire application, as well as its wireframes to ensure a perfect ‘User Experience’ (UX). 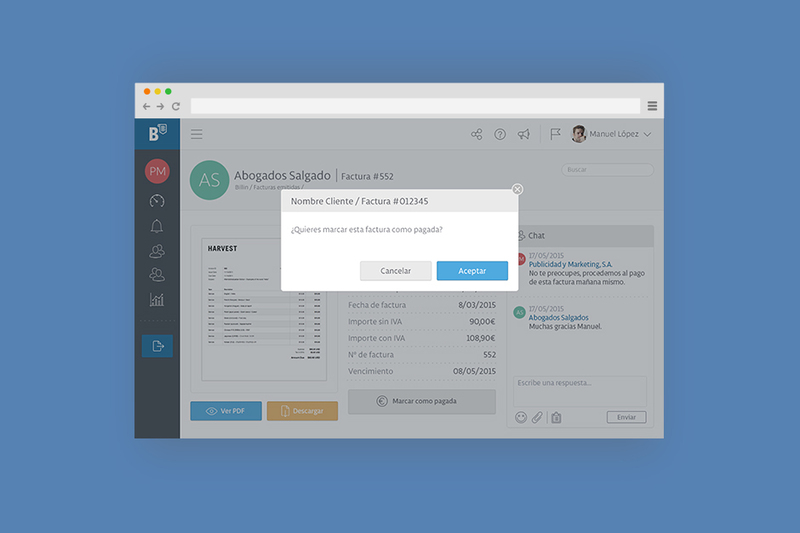 This led to the final process, the graphic design for each of the web platform’s screens, thus creating a user interface (UI) with a pleasant design that would seem familiar to any user. From beginning to end, this was a wonderful project. 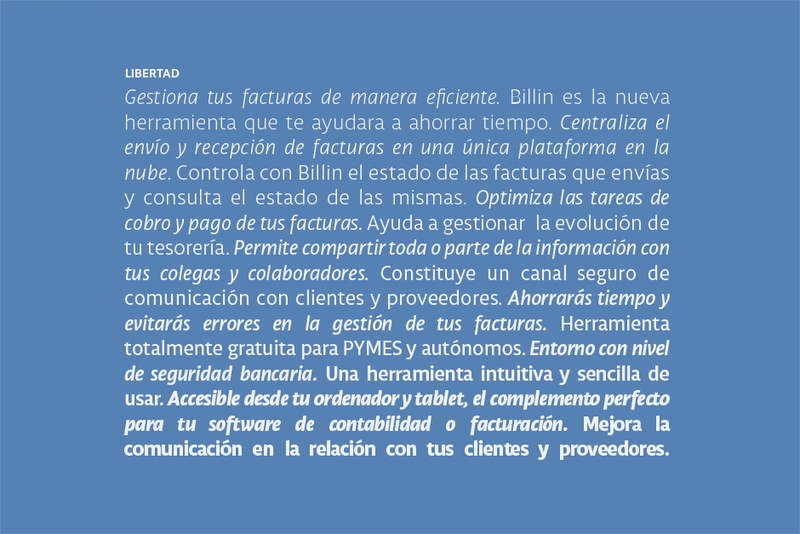 In fact, Billin is making a killing and is currently valued at over 4 million euros. Good luck, friends!